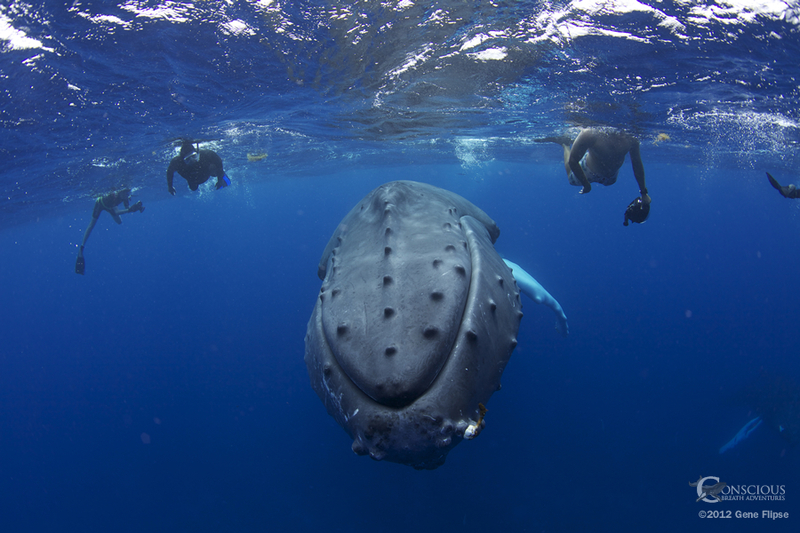 Have you always wanted to swim with humpback whales in Dominican Republic? On this special tour of swimming with humpback whales in Dominican Republic, you have front row seats to one of the greatest performances on earth! This incredible and very sacred “bucket list” worthy experience is 6 days/7 nights in the “The Silver Bank”. This is a sanctuary for marine mammals offering shelter, including the vessels that come to visit them. This is truly one of the best wildlife tours on the planet that will remind you of the importance of connecting to nature. This the the place to hear the humpback whale “singing” up close and personal. 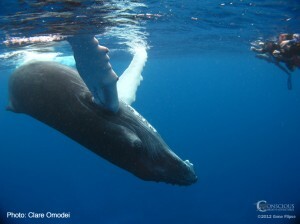 To hear the humpback whale sounds is best to be experienced while swimming in the ocean. Here you will find natural and unscripted encounters with these beautiful creatures. As well, you will have the opportunity to take lots of humpback whale pictures to share with all your family and friends. 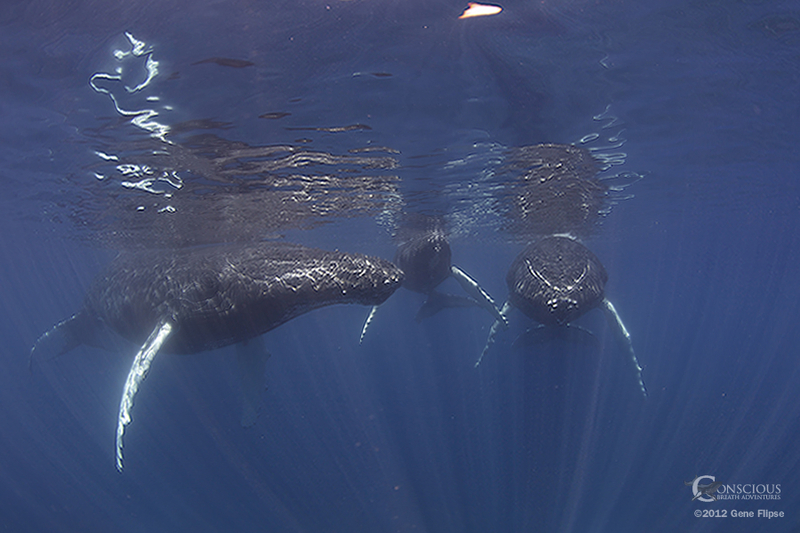 This Marine Sanctuary provides a safe haven for Humpback Whales who are gathering to court, mate, calve and rear their young. From January through April they arrive by the thousands to find the ideal mating and birth area. The sanctuary also provides safety and protection to females and their calves. When they are physically strong enough, they will travel back to the North Eastern US Coast. 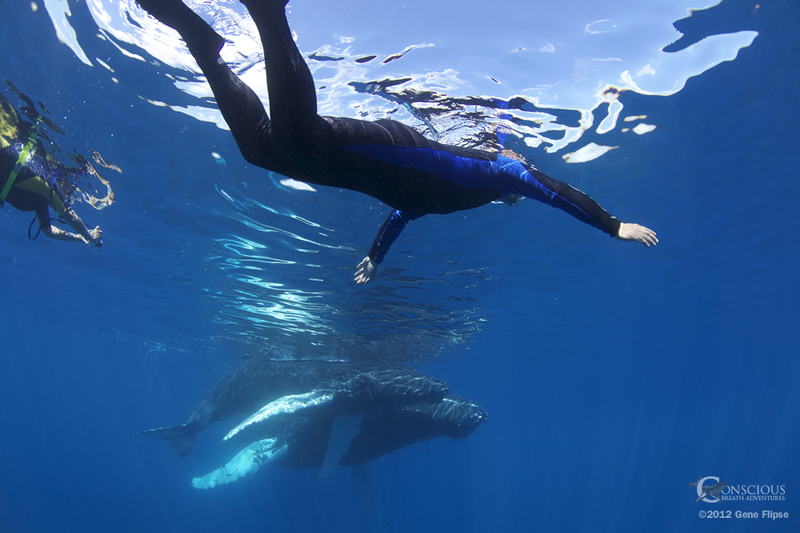 This place is one of 3 spots in the world where people can swim and snorkel with the whales. During this trip you will learn a lot of humpback whale facts. During the 6 day itinerary, guests have the opportunity to observe the whales at close range. You can watch them spin and play and hear their beautiful songs resonating through the water. 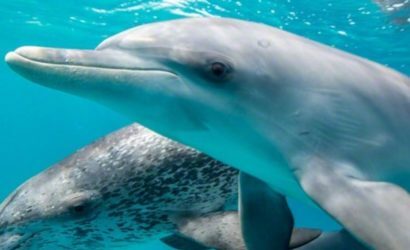 Considered to be one of the most intelligent mammals on earth, you will be awed by their immense power and grace. Imagine listening to one of the most magnificent water songs on the planet where you are completely immersed in the power of sound which is audible for miles. 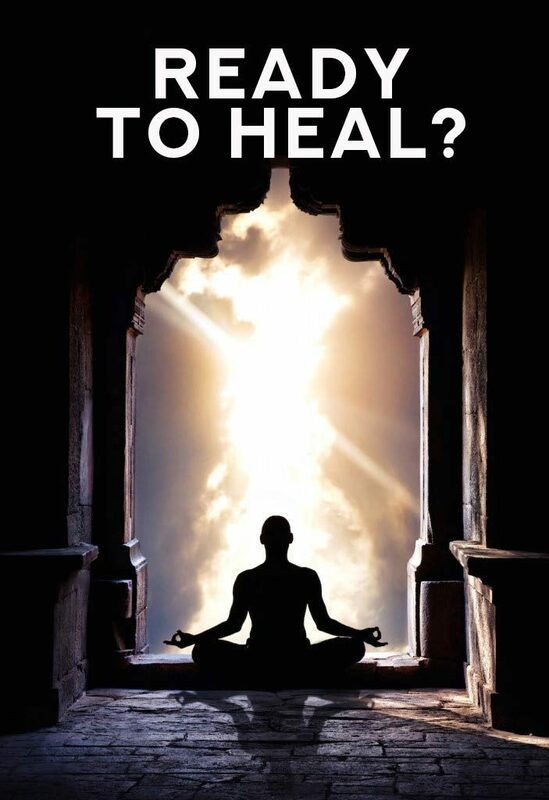 As our bodies are composed of mostly water, this allows for this acoustic energy to flow right through us, thus experiencing different resonance frequencies and even some reverberations in our chest as well as our arms and legs. This concert will move you to the core of your being! 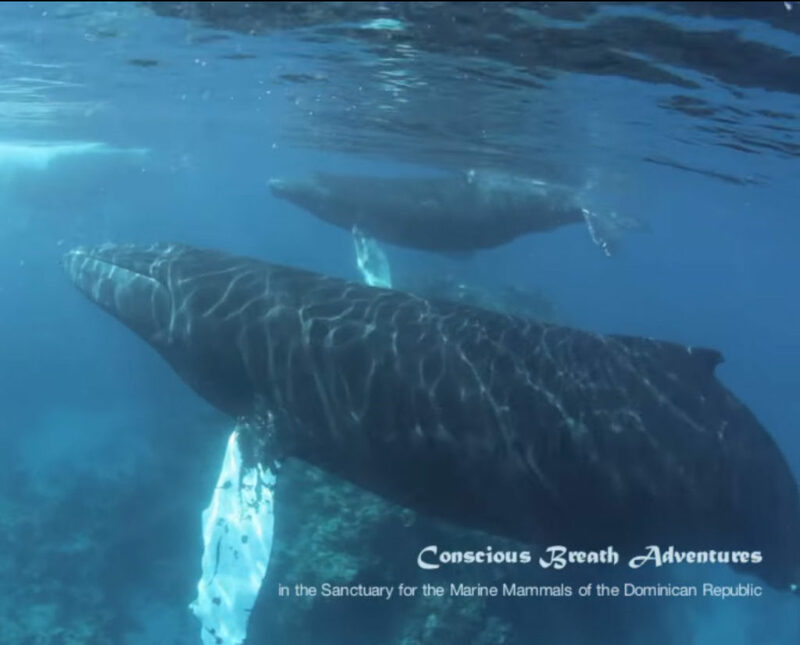 See this recent video of a whale named “Canopy” and her son! 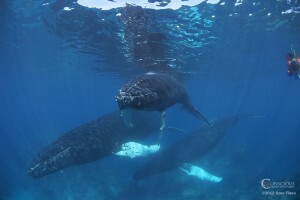 Here are the swimming with humpback whales dates for 2019. 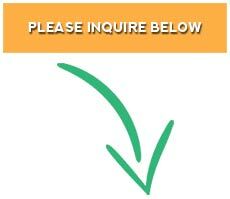 6:00 pm – 7:00 pm Vessel Safety and Operations orientation; required paperwork.